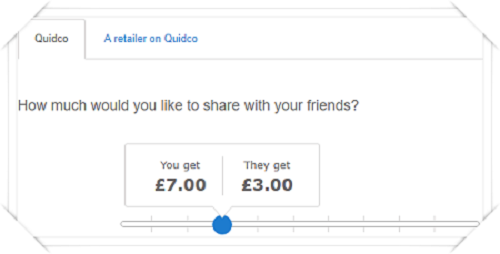 My Quidco Review 2018 – With over £50,000,000 paid out in 2018 alone – Are they the Best UK Cashback Site? Everybody needs a helping hand when it comes to spending, but are you taking advantage of cashback sites, and in my Quidco review 2018, I go into great detail so that you can make the right judgement call! This site has been around for quite some time now, but what does that tell you? Well, maybe they are one of the best, especially in the UK. I have reviewed many rewards and cashback sites and many are just not worth the time and effort, but Quidco seems to be a little different. Shopping and rewarded with cash. No survey’s, watching videos, answering emails and no converting points into cash either! They must be doing something right as they recently picked up an accolade from The Moneyfacts Consumer Awards. The UK’s Best Cash Back site for 2018. Check it out here! Let’s take a look and unravel a few things and hopefully lead you on the right path. 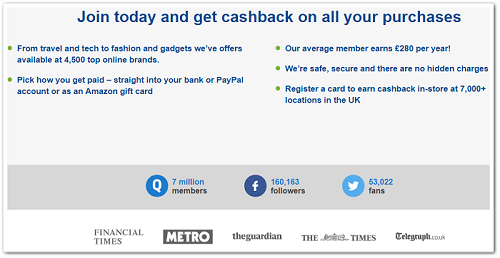 Summary: A shopping cashback website where members can shop at their favourite retailers and be rewarded with cash. How do you Make Money with Quidco? My Quidco Review 2018 – Final thoughts! 2012 and the first UK cashback site to include grocery shopping. Quidco is a UK cashback rewards site without all the “BS” with other activities such as surveys, reading emails, playing games and a host of other things just to keep you engaged on the site. Quidco cuts through all of this and keeps things simple and straightforward. With over 4,300 retail outlets to choose from you are sure to find your favourite retailer amongst them. Just shop and be rewarded with cash. It’s as simple as that! In the years 2012, 2013, 2014, and 2018 they have been recognized by the consumer Moneyfacts Group as the best UK cashback site with TopCashBack a close runner-up. All you need to do is enter your first and last name along with a valid email address. There are no confirmation emails to answer but you will receive a welcome email from Quidco and a few pointers to get you started. Now you can start shopping! Before we get into the review, why not check out what the local newspapers have to say about Quidco. They are actually running free ads for them so check them out here. Might find yourself some great deals without browsing the Quidco website! Whilst Quidco is 100 % free to join and take part they do have 2 levels of membership. Whereas the Basic membership is free with no costs, Premium members do have their first £5 cashback retained for a higher level of customer service along with an additional range of offers coming from faster-paying retailers. A yearly cost of £5! Premium might be worth looking at as timescales for receiving cashback appear to be not so good! Steps to Follow to Get the Best out of Quidco! These do’s and don’ts should be followed, otherwise, you may encounter issues later on within the cashback processing like many others appeared to have done! OK, so we know that Quidco rewards you for shopping through their partner’s websites, but there are a number of other various ways to achieve this. Purchase instore, keep the receipt and upload through the ClickSnap app within 7 days and receive cashback once verified. Out shopping in the high street, then why not link a credit or debit card to your Quidco account then all you have to do is activate the retailers online offers then pay in the store at over 7,000 locations in the UK and the rest will be taken care of by Quidco. They have even got their own comparison site to check out the insurance, energy and broadband for the best offers. Away from the laptop then don’t miss an offer with this app and keep a track of your purchases and account balance. 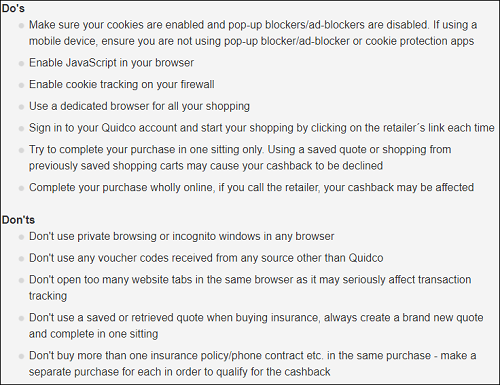 Don’t forget to install the cashback reminder extension to either Google Chrome, Firefox, or Safari and take advantage of all the Quidco offers that are constantly updating on a daily basis. If you find on any other UK cashback site, a cashback rate higher for any product you wish to purchase, then Quidco will match it. Not bad eh! Why not pass on the word and refer a friend or family member. Once they have signed up and earned a minimum of £5 cashback, then you will be rewarded with £10 which is not bad for doing absolutely nothing, right? That goes for every person whether it just the 1 or 100. Just think about it, nowadays with the internet and social media such as Facebook, we all have a bunch of friends and just think if 100 of those friends took up your offer. That’s £1000, not bad for sending out an invite! If you are the generous type then why not split the £10? Don’t forget to keep a track on the activity of your purchases through the activity page. This way you can keep a close eye on just what is happening with regards to your purchase and where you are in the cashback process before you start a good old rant! A good idea would be to become familiar with the different types of cashback statuses between Quidco and the retailers as there do appear to be a number of complaints regarding this particular area. If there is an issue then you need to know how to process that discrepancy with Quidco. When you have made your purchase through the Quidco site the activity status will be set to “Tracked“. This tells you that you have made a purchase and waiting for the retailer to confirm that the terms have been met before the money is passed onto Quidco. Once the money has been received from the retailer, that is converted into cashback and your activity status is then set to “Confirmed“. This tells you that the money is available to withdraw. It, therefore, pays to take your time and read each and every retailers terms and condition before you purchase from them, and this way it will save you a lot of hassle. Time-consuming I know but has to be done! I see many complaints regarding declined cashback amounts where the terms and conditions have not been adhered to, and if you want to raise this issue then you need to do so in your activity under the claims tab. If at all your claim does get approved then this will be highlighted on your claims tab as “Successful” and a waiting period of up to 90 days will commence from the date the claims tab was set. the claims tab will be set to “Unsuccessful” and an email will be sent out to you to explain this. There are a number of ways that you can withdraw your cashback but the 2 main ones are PayPal (which takes up to 4 working days) or a Bank Transfer which is free. You need to check the terms of Paypal because whilst there are no monthly fees to use PayPal, there are fees for across currencies and incoming money which is dependant on where and what type of transaction. Check under goods and services. There is a minimum withdrawal which currently is set to £1. The other ways would be through the numerous retail stores which you can find here! which when used, will give you a percentage increase on your cashback amount. All businesses come with a certain amount of baggage and Quidco is no exception to this. Looking at Trustpilot as of this review I can see that if you take the Poor and Bad reviews, that is only 5% which out of 46,700 reviews that amount to around 2,335 complaints which in my book is pretty good. OK, it could be better but these issues appear to be down to the retailers and their policies! This appears to be one of the biggest issues, where retailers can take several weeks to acknowledge the purchase. It’s obvious the reason for this is down to the returns policy! It would appear the retailer is waiting for the returns policy to expire first before cashback is sent to avoid any confusion and complications. Every little helps when it come to shopping! 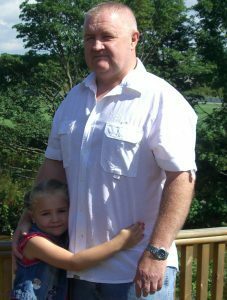 People will tell you no matter which cashback site it is that they used to be good but not anymore! Well, you can factor many things into the whys? Competition is one, and the fact that the internet is currently available to around 3.8 billion people all looking for ways to earn a little cash and save a little money here and there. More people, more issues! Cashback or Reward sites are not one of my favourites because there are so many really bad ones that let the side down, and punish the ones that are established and been going for a number of years. I think you can see here that Quidco is legit and one that I do recommend! Used in the right manner, along with reading and following the terms and conditions of both Quidco as well as their retail partners, then this site will work for you. Just bear in mind that just because this is a cashback rewards site with offers on thousands of products, that you can’t find better deals elsewhere. Do your research, that’s what I always do first! As I mentioned earlier Quidco is currently voted the best UK Cashback site for 2018 then maybe you’d like to also check out TopCashBack another top UK site. 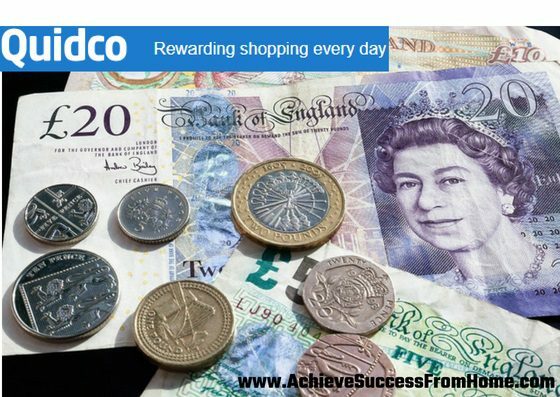 Making a few extra £’s here and there with cashback sites like Quidco is great when shopping online, but they are not real money making opportunities! If you are interested in what could be a life-changing experience and learning how to build an online business and become part of a community that is successful on many levels. Just check out this review and see what you think? What’s cool about this is that it is also Free to join. No Catch! What have you got to lose? So much to gain! Are you a member of Quidco and how as it been for you? Are you happy with their service? Maybe you have had a bad experience with cashback and rewards sites in the past? Thinking of joining and not sure which one is best? Well in the UK you have Quidco and TopCashBack to choose from or become a member of both and widen your shopping experience. Tell me what you thought of the review or why not share with us your experiences or anything for that matter. Just leave me a comment below and I will get back to you at my earliest convenience. Wow! That is a massive amount of retailers. I’m surprised because I’ve never heard of Quidco before. Thanks for this comprehensive review. I’ll have to check them out with your recommendation! Are they only for UK residents? I’m in the United States. Hi Melinda, unfortunately, this site is only for UK residents. One of the better cashback sites along with TopCashBack. Quidco seems to be one of the trusting cash back sites. They have got a good rating on Trustpilot. You have done a great article with a lot of in depth detail. Hey Eden, although cashback and rewards sites are not my thing, every now and then you do come across ones that you could benefit from using. I mean we all could do with a little helping hand when it comes to shopping, especially online. Thanks for the comments, very much appreciated. I wasn’t aware of quidco till now. I have a question: how much is worth spending time on cashback sites in general given the number of ways you can make money online? I’d imagine this is something to save on while doing your groceries or is there a more elaborate strategy than that? thanks! Hi Vivek, some cashback sites are ok if you are using them for what they were intended for, and that’s saving money and making a little too. I have used them in the past only for shopping, but to be honest, finding what I was looking for mostly never came from the cashback site, and therefore ended up spending more than enough time on them. Don’t assume that you are going to get the best deal on there! Hey John, with the vast number of cashback sites around just which one do you use? Some good, some ok and most of them are just not worth going anywhere near. Some are just loaded with all sorts of activities which are only there to keep you clicking on their site and generating revenue for them, regardless as to whether you purchase or not. 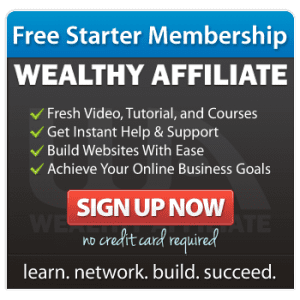 The big earners are the website and I always say, why not learn how this affiliate site works and turn the tables rather than waste your life away. In 1-2 years time, you wouldn’t need to look for a cashback site because you would be earning more than enough. Thanks for commenting, much appreciated. Previous Previous post: MyPoints Review 2018: Is it Legit? All you need to know! 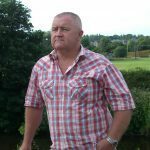 Next Next post: Mr Rebates Review 2018: Legit Cashback Site or Just Another Waste of Time?